Drake Parker is a young 45-year-old ambitious stockbroker who has gallbladder cancer and it is inoperable. He has maybe a year to live. His tan skin, white teeth, and crooked smile have been his trademark, but now after days of being a shut-in, he can barely recognize the face staring back at him. That’s when he determines it’s time to accept the inevitable. That is also when he makes his bucket list of things he wants to do. Trinity Hunter is every inch the image of the successful businesswoman with the extra appeal of long hair, almond-shaped eyes, and dimples on her high cheekbones. This camouflage softens a fast-talking take charge businesswoman who is pushy, but fun-loving and sure of herself until she finds out she has a rare cancer, desmoplastic small-round-cell tumor. The cancer has advanced and she is given a year to live. Parker determined not to give in to depression and self-pity begins work on his bucket lists and on an outing, is run over by the free-spirited Trinity Hunter who is out for a jog on the Lake Ontario boardwalk. 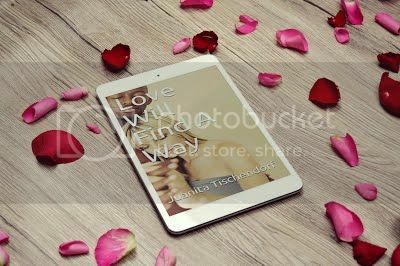 The two enjoy a very powerful romance until Parker accidentally learns that Trinity has been keeping a secret from him: She too is dying of terminal cancer. Two lonely people, both terminally ill, have a short-lived love affair, sharing a series of adventures in which they live out their childhood dreams. Drake Parker is a young 45 year old ambitious stock broker who is told he has gallbladder cancer and it is inoperable. When he asks, he is told he has maybe a year to live. His tan skin, white teeth and crooked smile has been his trademark, but now after days of being a shut in he can barely recognize the face staring back at him. That’s when he determines it’s time to accept the inevitable. That is also when he makes his bucket list of things he wants to do. Trinity Hunter is every inch the image of the successful business woman with the extra appeal of long hair, almond shaped eyes and dimples on her high cheek bones. This camouflage softens a fast-talking take charge business woman who is pushy, but fun loving and sure of herself until she finds out she has a rare cancer, desmoplastic small-round-cell tumor. The cancer has advanced, and she is given a year to live. 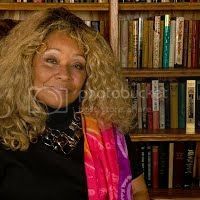 Juanita Tischendorf has written several works of nonfiction books that include “Who Says I’m Small”, “The Madman, The Marathoner”, “Til Death Do Us Part?” and “An UnFair Advantage (A Murder In Oklahoma)” and the self-help book, “The Selfie, (Adolescent/Teen Girl Self Development)”. She released her first fiction book “Body of Evidence” in 2016, and currently promoting her next book, “Playground In My Mind”. Juanita completed a writing course at the University of Washington, has taken a James Paterson training course. Juanita is a member of the Writers Guild of America. Her achievements and awards include a career profile by Rochester’s “About Time Magazine, and a taped interview by the Syracuse NY cable TV for “Successful Women in Upstate New York’’ segment. She appeared on the WOKR-TV program entitled “Shades of Gray”, received the 2003 Editor’s choice award for outstanding achievement in poetry and is listed in the 1991 edition of “2000 Notable American Women”.